I remember reading this book the summer after I graduated from college, and I’ve reread it since then. Francine Rivers is such an incredibly talented author, and the stories that she writes are filled with wisdom. The Scarlet Thread is one of her best, in my opinion. The Scarlet Thread is about two women who have never met, but whose lives are connected by ancestry. Sierra finds a journal and a quilt from a relative who traveled the Oregon Trail. The honesty of the journal writings impact Sierra as she realizes that her struggles aren’t uncommon. The book is a great picture of learning to trust God completely and to rest in His unconditional love even when the circumstances in our lives are uncertain and uncomfortable. It’s also a great picture of the promise and hope that marriage contains, if we’ll only persevere and trust God during the difficult times. I loved this book because it is so relatable: we’ve all been in situations where we felt alone, where we felt so unsure of why we were in those situations. In those times, it is so important to trust God and to not worry! Sierra’s character felt so real, and that made the book even more impactful. 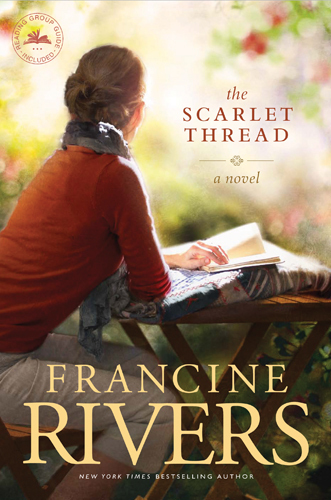 The Scarlet Thread is a timeless classic, and I definitely recommend it. Thanks for the review. I read it a few years back and I agree with you.